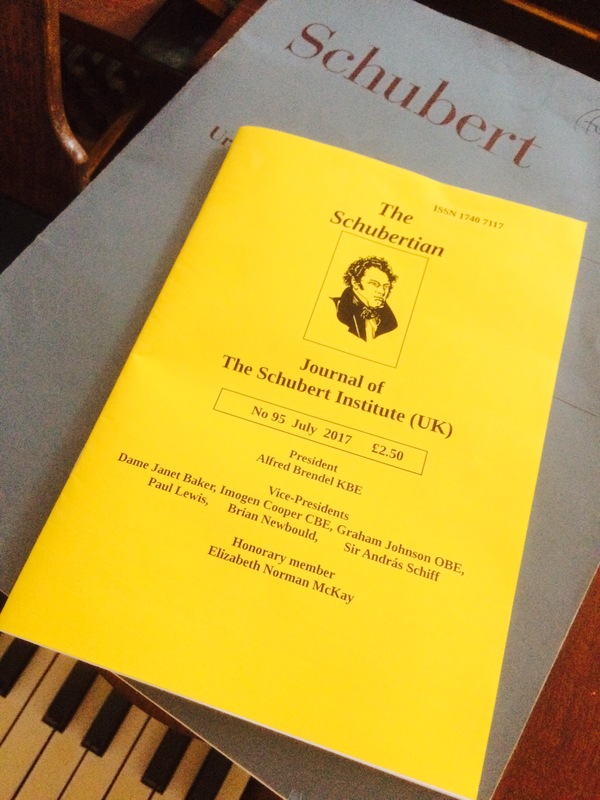 This article, the first of five, was first published in the July 2017 issue of The Schubertian, the journal of the Schubert Institute (UK). In the autumn of 2014 I set myself the task of learning Schubert’s penultimate piano sonata, No 20 in A, D959, composed in 1828. My intention was to learn and finesse the work to be performed in public. I relished the challenge of immersing myself in a large-scale work over a long period of time: it would test my ability to plan and use practise time intelligently, to set and fulfill goals during the process, and to reflect on learning outcomes using rigorous self-evaluation and critique from mentors and colleagues. The Sonata was to be included in the programme for a Fellowship performance diploma, for which a very high level of musical competency, artistry, personal interpretation and professionalism was required. The vast majority of the work on the sonata I undertook independently, with limited intervention from my regular teacher and some useful critique from pianist colleagues (including two professional concert pianists), mainly via recordings and public performances. Most of the work with my teacher involved aspects of technique to achieve absolute security throughout the work and we rarely discussed interpretation: from the outset, I felt my teacher appreciated and respected my own personal vision of this music and this enabled me to gain ownership of the music very early on in the learning process, an important consideration for any musician. In this series of essays, I will explore my approach to learning this work. I hope my reflections will offer useful resources to others and serve as a “travelogue” of my journey through this sonata. The Sonata in A, D959, always seems to provoke strong reactions, in particular the interpretation or meaning of the second movement, which many commentators, musicologists, pianists and critics claim to be the most significant clue to Schubert’s mental state at the time of the work’s composition. The side-effects of advanced syphilis and its treatment may well have had a detrimental effect on Schubert’s mental state, and it is thought he also suffered from cyclothymia, a form of manic depression (his friends reported periods of dark despair and violent rage). The traditional sentimental image of Schubert as the cheery songster or cherubic “little mushroom” is refuted by these accounts. Is the slow movement of the D959 a manifestation of both depression (the opening and closing sections) and mania (the middle storm)? I will explore this question more fully in a subsequent essay focusing specifically on the second movement. Another issue which merits consideration in relation to this sonata (and indeed the others which form the final triptych) is the notion of Schubert’s “late style”: whether a sense of his own mortality presaged a change in his compositional style in the works written in the final years of his life. In ‘On Late Style’ Edward Said examines the concept of a distinct artistic/literary “late style” and highlights features such as a certain “insouciance” or self-confidence which may stem from a sense of completion, serenity, acceptance or reconciliation. But rather than express acceptance, reconciliation or a sense of his own mortality, Schubert’s last works seem to communicate an “incompleteness”, that he had much more to say, and suggest “the triumph of artistic achievement over the degradation of death and disease” (Lorraine Byrne Bodley). The Sonata in A, D959, certainly seems to confirm this sentiment: it is joyous after the darkness of the C minor Sonata, D958, which precedes it, and its themes are spring-like and lilting. If ‘Winterreise’ is heartbreak, a study in unrelieved sorrow, this sonata, and other works from the last year of Schubert’s life, reveal and revel in all of life – intoxicatingly bittersweet, nostalgic, and life-affirming, never unremittingly melancholy nor heavy. While his late music moves between extremes of expression, the power of the final works is their fundamentally positive message, rendered in music of incredible inventiveness and sophistication. With these considerations in mind, the single most challenging physical aspect of learning this sonata is its scale. Cast in four movements, the work takes around 40 minutes to play if the repeats are observed, and for both performer and audience there is a sense of traversing a wide-ranging landscape. One’s duty as performer/interpreter is to find connections, within the individual movements and the work as a whole, in order to lead the listener on a unique journey through Schubert’s musical landscape. Schubert uses motivic and structural signposts throughout the four movements to enhance this sense of a journey (for example, the opening measures of the first movement are reprised in the closing bars of the finale, and there are many other cyclic elements – of rhythm, melody, articulation, and even character/emotion – which connect the four movements). The cyclic elements also enhance the sense of a tightly-organised structure: this sonata may be long, but it is not rambling (though some performers may make it so!). The first and the final movements are almost identical in length (c.13 minutes each if one observes the exposition repeat in the first movement). These edifices bookend the middle movements which are also of an equal length – c.7 minutes each (roughly half the length of the first and final movements, if one observes all the repeats in the Scherzo). Some scholars have pointed to a “golden ratio” in Schubert’s structural organisation. Whether this was conscious on the part of the composer is not known, but from the performer/interpreter’s point of view an appreciation of this almost perfectly-balanced organsiation is important in creating the sense of a distinct structural and narrative arc that runs through the entire work. From the practical point of view of learning and maintaining all the notes, I decided to treat the sonata as four separate works, learning each movement as a stand-alone piece while also remaining alert to the cyclic elements within each movement and the work as a whole through regular study of the score away from the piano and listening to recordings of the complete sonata. 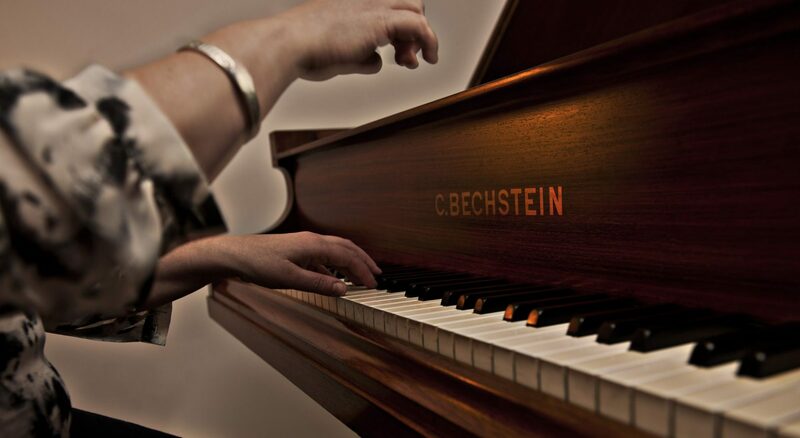 What has interested me throughout the learning process is the fact that the notes themselves are not that difficult, and most of the time the music lies comfortably under the fingers and hand. But what has been far more difficult is achieving a convincing rendering of Schubert’s unique compositional voice – and maintaining this throughout c40 minutes of music. Too many interpreters treat Schubert as Beethoven’s “enfeebled twin”: to misquote Leonid Sabaneyev on Scriabin: “he is not like Beethoven, he is like Schubert!”. As British pianist Paul Lewis has noted “Schubert is more internally stormy than Beethoven, which perhaps make it all the more powerful…….. Schubert almost never provides the answers. There are always more questions than answers…….it’s a reflection of what we find in life“. Schubert’s music should never be stereotyped nor over-interpreted: such treatment can straitjacket the music, reducing it to a simplistic highlighting of elements which the performer may feel are obviously “Schubertian” (beautiful lyrical melodies, poignant harmonies, emotional volte-faces) rather than allowing oneself the freedom to appreciate that this music is so much greater than the sum of its parts.